This extensive collection of Tibetan Proverbs offers a precious insight into the wisdom humour and traditions of Tibet. With subject-matters ranging from the natural landscape and livelihood of the people to human personality traits and the tenets of Buddhist philosophy these saying reflect the values and attitudes of the people who coined them and of their community. Lhamo Pemba has transcribed the proverbs from their natural oral from into written Tibetan and has also provided an English translation with contextual explanation where appropriate. This book is a testament to the folklore and culture of Tibet, and as such will be enjoyable and informative both for Tibetans and for other who share an interest in Tibet and its people. We Tibetans are in the midst of one of the most turbulent and difficult periods of our history. Our very traditions and customs are threatened in our homeland. 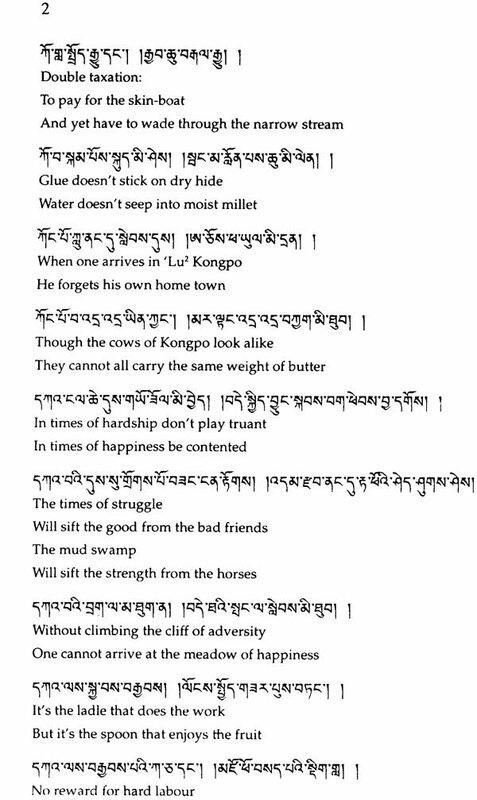 Therefore it gives me great pleasure to see tradition preserved in this new collection of Tibetan proverbs. I am confident that Ms Lhamo Pemba’s commendable efforts in compiling and translating this collection will be enjoyed by many readers around the world interested in Tibetan language and culture. 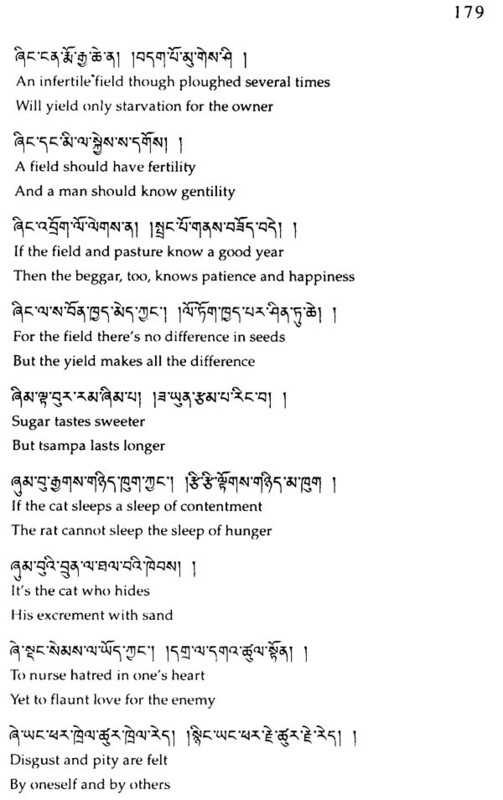 As is the case with most countries, Tibetan proverbs were preserved in the tradition they were never written down to be assimilated like knowledge, but left to the individual to acquire. Proverbs added an important and colorful hue to the tapestry of Tibetan folklore especially so in the colloquial world of expression. 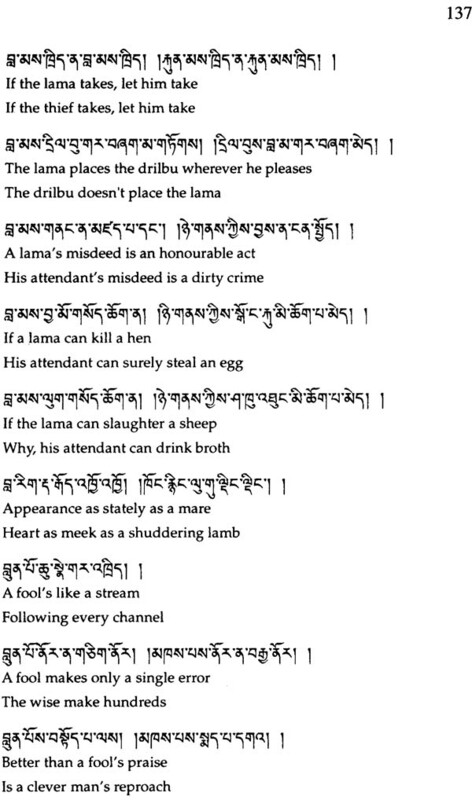 Most Tibetans know the proverbs of their own district. At home among their peers and in social gathering they quoted and repeated proverbs so often that the saying seemed to seep into their system without much effort. Every piece of advice suggestion and statement had a proverb to make it strike home. It gave whether they did a common threshold a wavelength that was shared by many. Indeed proverbs became a source to learn form pithy lessons passed down through the ages by word of mouth. The old people quoted them like incantation parents like a staff of discipline and friends and lovers like a book that teaches one how to be a better person. Everyone who went to court in a village or wanted to stress a point in an argument knew that to have the last word one needed to be able to render the appropriate proverb at the appropriate moment. Armed with such a verbal weapon on e would get one what sought from one’s adversary – silence and acceptance. This would create a flicker of victory for oneself especially in front of a judge. 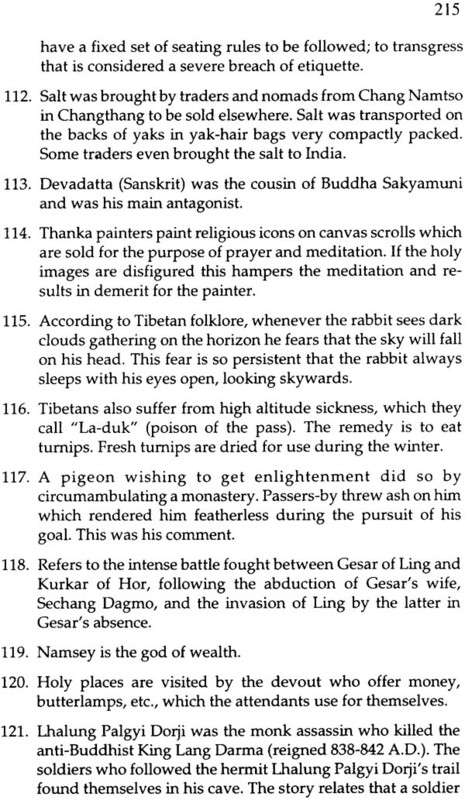 Tibetan proverbs range in subject matter from the natural elements and the environment to philosophy rebirth and the samsara Lord Buddha spoke of. They speak of sages in quest of enlightenment their lack of funds their rich patrons and of course seductive women who cast their nets of possessions as surely as fisherman and the fate of those succumbed to their charms. Some proverbs speak of the origin of places and why they came to be what they are. Some proverbs offer eulogies about a district’s natural landscape, a local fruit or vegetable or even an accent Others are disparaged for their loose morals their stinginess the prevalence of duststorms or the total absence of. Living alongside our heritage of proverbs. 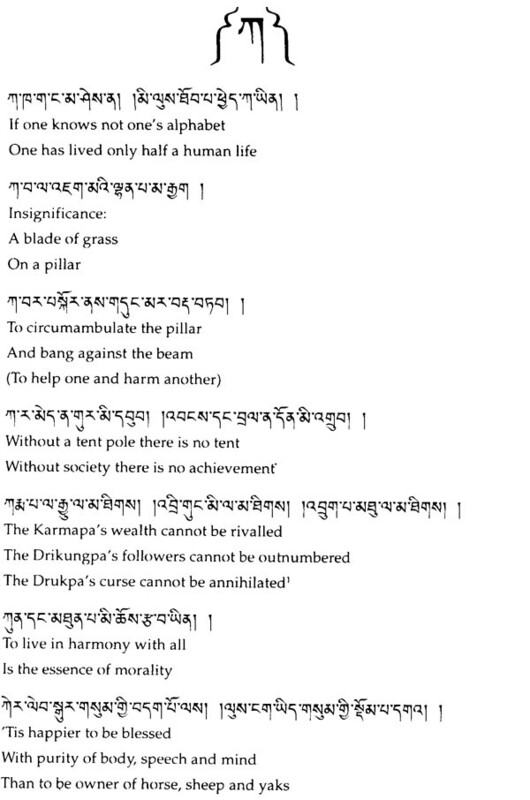 Tibetan have learned to appreciate commonsense values and to differentiate between what is just and what is unjust good and evil to accept some things and to fight for others to give and to take to find happiness in sample things and to shed tears for genuine losses. 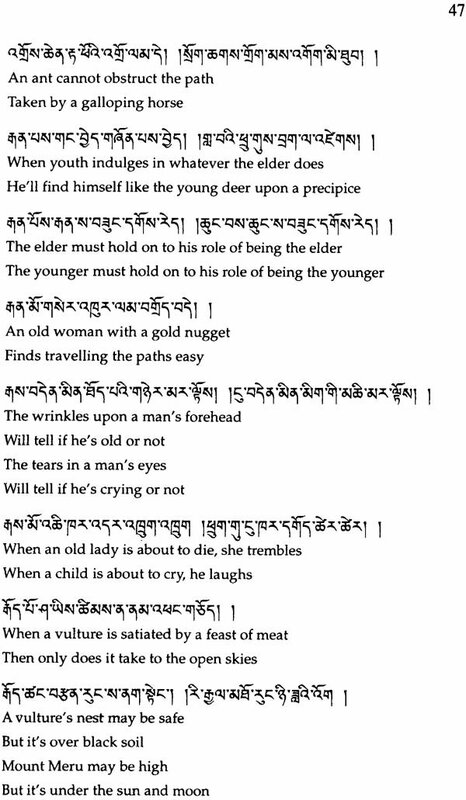 For Tibetans, proverbs provide an opportunity to acquaint myself with theses laugh at oneself to exhibit a spontaneous sense of humor making laughter as important as faith. 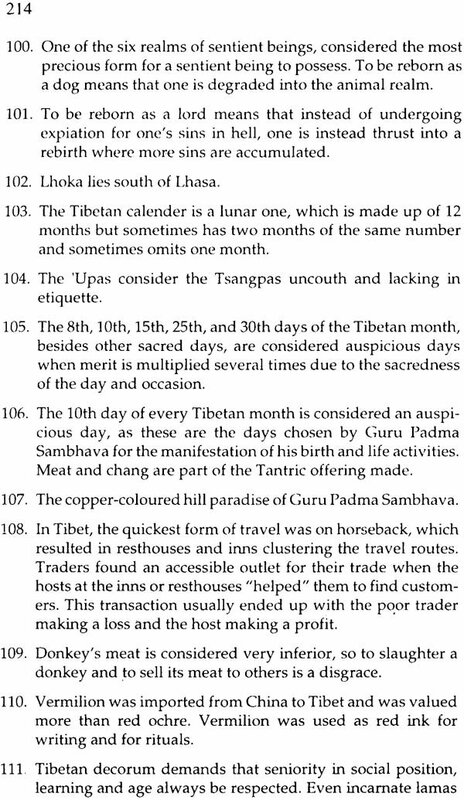 I am grateful for the opportunity to acquaint myself with these home truths which are old precious and so far kept alive in an oral tradition enabling us to gain a valuable insight into the Tibetan psyche. Every Tibetan should be given an opportunity to know and to love what is theirs. 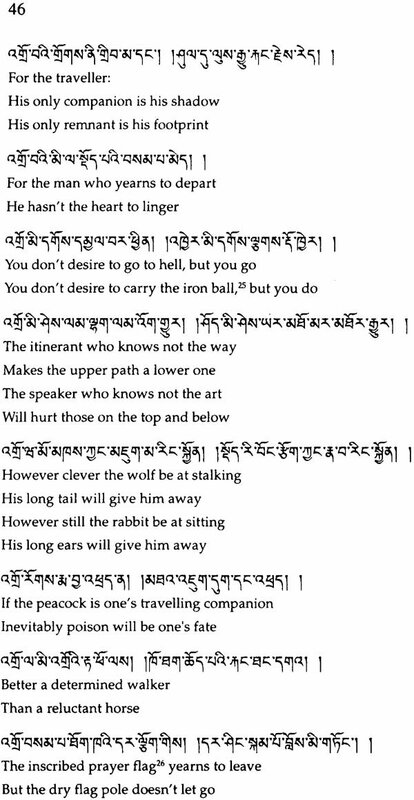 I hope these proverbs will enlighten those who are interested in Tibet and the world of Tibetans.